Nestled in the Arbuckle Mountains of Southern Oklahoma, CrossTimbers is the perfect spot for your annual conference or retreat getaway. Equipped with lodging for hundreds, with meals and meeting spaces to match your needs – we’ve got everything you need to make your event seamless. For pricing and additional information, please contact Conference Center staff directly at 580.369.2101 or fill out this form. A/V capabilities, setup/tear down, and additional outdoor meeting spaces available upon request and weather permitting. Brand new private lodge rooms are also available with single queen beds or double queen beds. 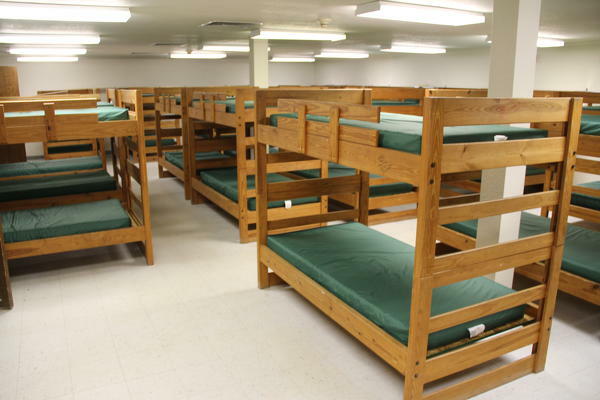 All dormitory lodging will require guests to bring their own linens. 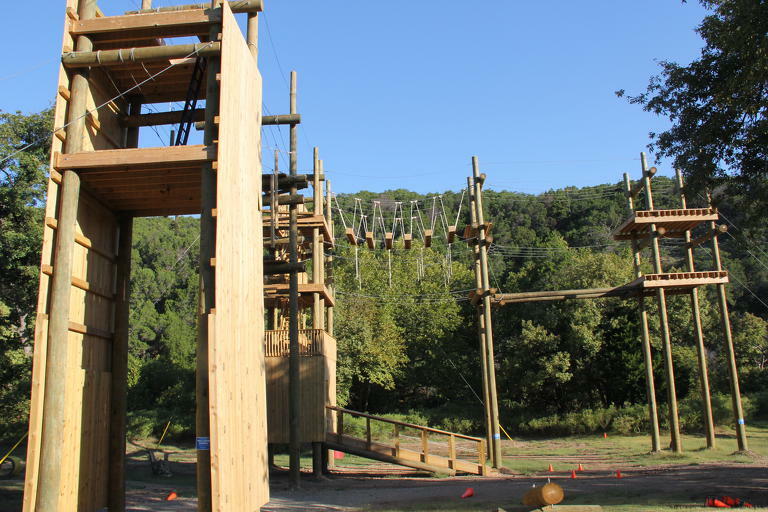 Recreational activities can include, but are not limited to, use of our ropes course, zip line, swimming pool, archery, creek and hiking access, basketball, gaga ball, etc. Staffed recreation must have a minimum of 10 participants and requires three weeks prior notice in order to be reserved. 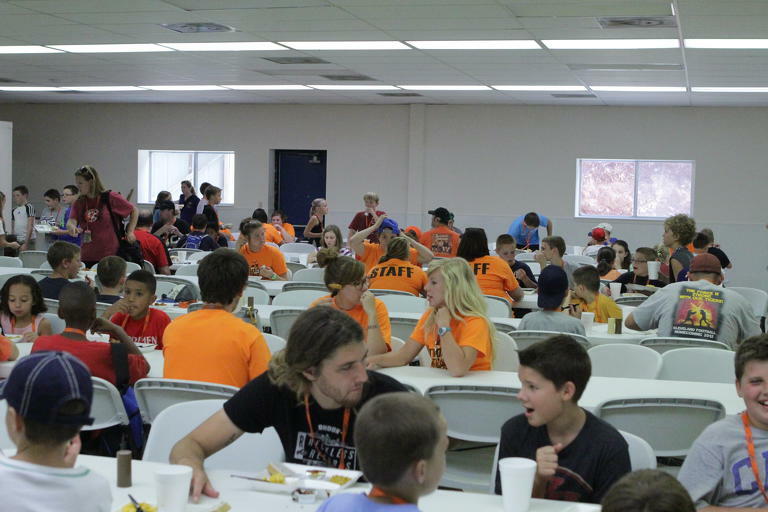 Additional recreation opportunities are available at our sister site, Falls Creek, if groups are able to drive a 4-mile distance. Whether it’s camp-style meals, grilling or banquet buffets, our Food Services crew are prepared to meet any of your meal planning needs. Menus are chef’s choice, unless otherwise arranged. Food and allergy restrictions will always be met. Snack and beverage stations can also be set up for your meeting needs. Interested in doing your own meals? 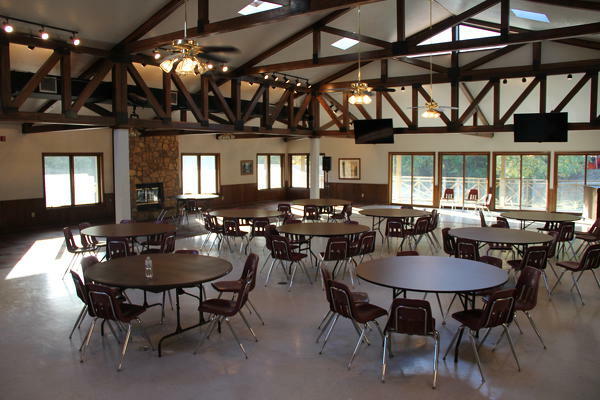 Ask us about our conference center kitchen usage fees!